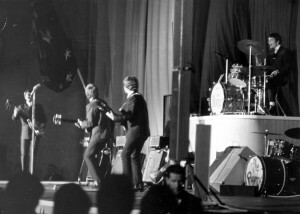 HOW IS IT POSSIBLE DRUMMER JIMMIE NICOL COULD SIMPLY VANISH AFTER PLAYING WITH THE BEATLES IN 1964? The Beatle Who Vanished is the first historical account of Jimmie Nicol, an unknown drummer whose journey from humble beginnings to saving The Beatles’ first world tour was only one part of his legend. Though his 13 days of fame made headlines, the true mystery of Nicol’s story is riddled with blacklisting, betrayal, drugs, divorce, bankruptcy and an eventual disappearance that led many to question whether he is dead or alive. Discover the incredible details of a Beatles story never before revealed!